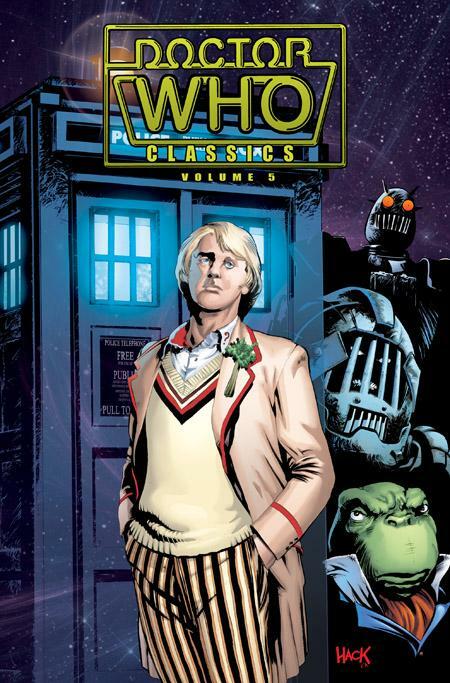 Doctor Who Classics volume 5 trade paperback from IDW Publishing shipped last Wednesday to comic shops around the United States. This collection is of particular interest to old-school Doctor Who fans in the U.S. that bought the 1984-86 Marvel Comics series. 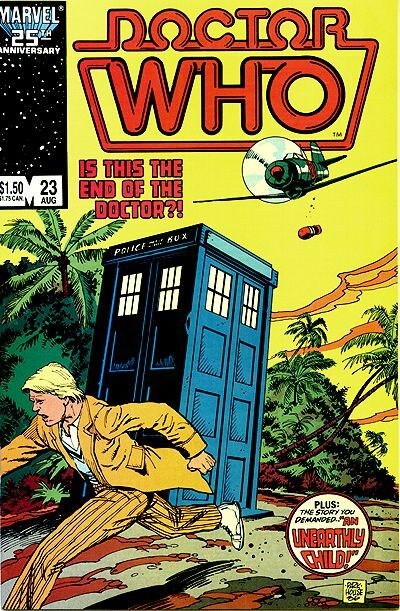 Back in 1986, Marvel Comics canceled their ongoing Doctor Who comic in the United States. 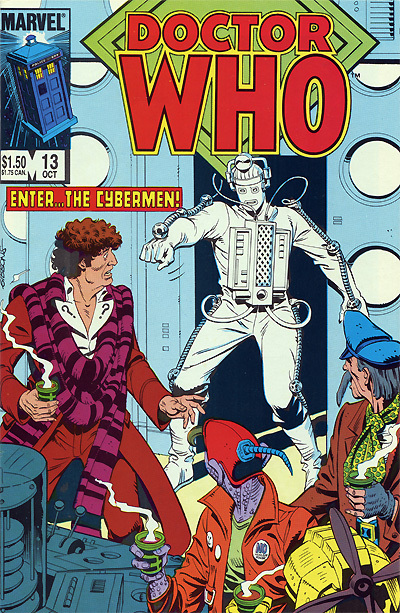 This series reprinted the comic strips from Doctor Who Monthly (later called Doctor Who Magazine). The final issue, #23, reprinted a Peter Davison story called Lunar Lagoon originally presented in Doctor Who Monthly #76 & #77. That story is included in the aforementioned IDW trade paperback that shipped last week, as well as further Peter Davison comic adventures such as 4-Dimensional Vistas (one of my favorites) and The Moderator. If you loved the 1984-86 series and always wanted more, these Doctor Who Classics comics are for you! They publish an issue each month, but personally I recommend the trades. Even if you’ve already read the comic strips, these new printings are worth it for the coloring alone. Gorgeous! … And now for something just for Luke because he asked – a Cyberman. This classic Troughton-era Cyberman brought to you by Dave Gibbons (artist of Watchmen). I, like a lot of others, only got into Doctor Who when the new series began airing on Sci-Fi (SyFy). (Unlike a lot of those folks, I admit to it.) The Cybermen are the best badguys on the show, hands down. After watching their two-parter on the new show I have gone and tracked down some of their old appearances, and those guys are just great! If the Daleks are supposed to be a loose allegory for Nazi Germany, then the Cybermen most certainly would be an allegory for the (now former) Soviet Union, or Communism as a whole. I still have my Marvel Premiere #s 57-60 from 1980 which were hailed as the Doctor’s American comic book debut. It’s nice to see that they, along with the Davison issues, have been republished in such a nice format (have the Marvel Indiana Jones comics Omnibus from Dark Horse, too). And I still have my personally autographed Liz Sladen photograph–had to write to the UK to get it, back in 1981. Heady stuff for a then-ten-year-old kid!